ANREV is pleased to invite you to join a webinar session on 18 January 2017 (Wednesday). The ANREV Index is a suite of indices which measures the performance of Asia Pacific non-listed property funds. The indices are composed to reflect the post-tax financial performance of the Asia Pacific non-listed property funds market, taking into account fees and leverage. Core, value-added and opportunity funds are included in the suite of indices produced, along with country, structure and sector specific indices. Global Real Estate Fund Index (GREFI) is a joint effort among ANREV, INREV in Europe and NCREIF in the United States. The aims of the GREFI are to improve transparency of real estate as an asset class and to help the index users make better informed investment decisions. It is of paramount importance to the real estate industry that NCRIEF, INREV and ANREV collaborate to produce robust global and intra region comparisons. At this webinar, you will receive updates of the ANREV Quarterly Index and GREFI as of Q3 2016. You will also be able to raise enquiry or provide feedback regarding to the two benchmarking tools. Dr Robert T. Lie is Co-Founder and Chief Executive of City Square REI. City Square invests in and manages commercial real estate and mixed use projects on behalf of its partners and clients with a focus on first tier cities in Greater China and Chinese outbound investment. 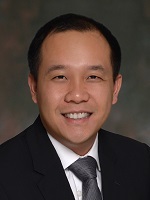 Robert was Managing Director at CITIC Capital Real Estate Group from May 2012 till April 2015. Before that he was Managing Director of Redevco Asia and member of the Redevco Board. 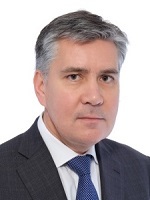 From 1996 to 2008 Robert Lie held various positions at ING Real Estate Investment Management in The Hague, Singapore and Hong Kong and in his last position was CEO of ING REIM Asia from 2004 to 2008. Robert Lie previously worked as a lecturer at the faculty of Economics of the University of Amsterdam and at the City University Business School in London (now known as CASS Business School). Robert Lie holds a BA and MA in Economic Geography and a Ph.D. in Economics from the University of Amsterdam. He is a member of several professional organizations. He is a founder and member of the management and executive board of ANREV, as well as the Chairman of the ANREV Performance Measurement Committee. Amélie is responsible for the development and implementation of ANREV's Research, Performance Measurement and Professional Standards programme in Asia. Amélie has over16 years of experience in the real estate industry and a strong real estate consulting background initially with Ernst & Young. She has been based in Asia for more than 10 years. Educated at the Sorbonne in Paris, where she was awarded a post graduate degree in Urban Geography, Town Planning and Real Estate, Amelie also has an Advanced Master's Degree in Urban and Real Estate Management from ESSEC Business School in Paris. Henry is working as Index Manager at ANREV and is responsible for calculating the ANREV Index and GREFI, as well as coordinating the quarterly requests for data from fund managers. He is also supporting on the development of other ANREV benchmarking products. Henry graduated from the Hong Kong University of Science and Technology, BSc. Risk Management and Business Intelligence. Henry is a CFA® charterholder.